With increasing demand of multi sourced data reporting, flexibility & agility, SAP offers an one stop solution with BW/4 HANA. SAP S/4HANA provides operational reporting for current data from a single SAP application. SAP BW/4HANA delivers a modern data-warehousing environment that allows reporting on data from SAP and Non-SAP Applications. BW/4 HANA which is available only in SAP HANA platform is optimised for SAP HANA. Master data, which remains unchanged over a long period of time, is the key data that is used as a base for any transaction. Master data is vital in multiple transactions and making them available for reporting helps in better analysis and reporting. With Smart Data Access, SDA data can be read from S/4 HANA during run time without actually persisting the data in BW/4 HANA System. In today’s world, with immense competition, Organisations are leaning towards real time decisions even on analytical data. Smart data Access enables to read remote data instantly. SDA also provisions merging of data from multiple landscapes. In this blog, I will share the steps to create Virtual master data in BW/4HANA via SDA from S/4 HANA. Pre-requisite: S/4 HANA and BW/4 HANA are connected and Smart Data Access is enabled. Create a table or Calculation view in S/4 HANA. Alternatively, read any SAP table. Create an Open ODS view in BW/4 HANA with semantics as Master Data, for attribute data. Read the S/4 HANA Table or Calculation view in BW/4 HANA using an Open ODS view. 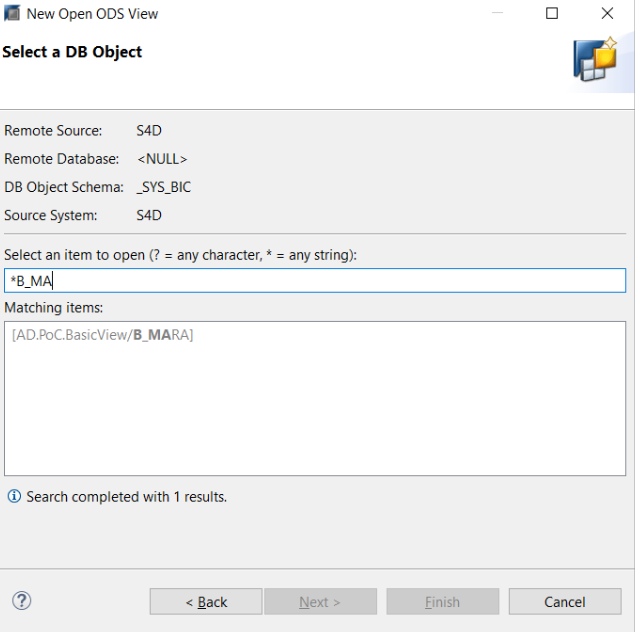 Create a query to view master data from Open ODS view. Create a query to preview the data on Transactional Open ODS view to see Master data enabled. In this scenario, I created a calculation view in S4D from base table MAKT. Open ODS can read data from any base table or View. Read access for an Open ODS can be restricted, to required package and tables available, using privileges. In the given Calculation view, a Filter is applied on the Language key to fetch data only in English. In BW Modeling, Create an Open ODS view under relevant Infoarea. Enter name, description and choose the semantics appropriately. Semantics option – Facts for transaction data, Master data for Attribute data and Texts for Text data. Tip: Open ODS view doesn’t support reading hierarchy data. Search for the calculation view from S4D. Prefix with * in the search criteria as the view will be prefixed with package details. S/4 tables also be read in this step. Choose the fields in Representative key field. This is the main Master data field. Characteristics(Key) is optional and can be used for compounding of the fields. 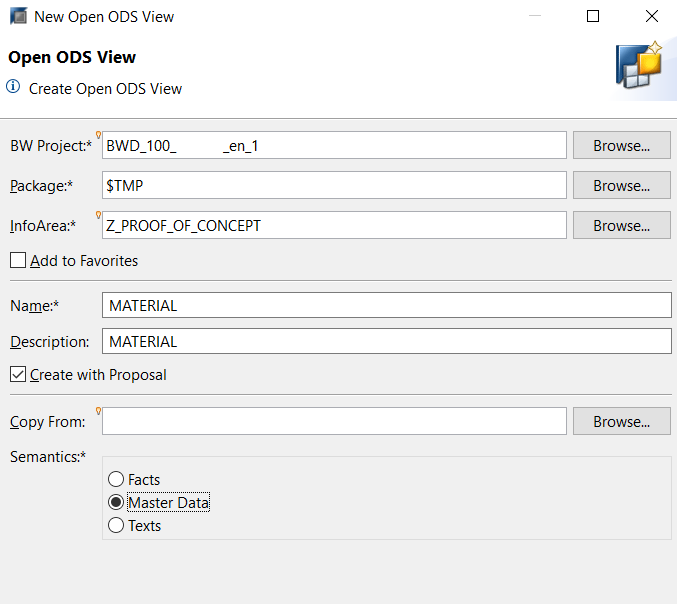 Change the reporting properties of the field before saving and activating the Open ODS view. Create a query on Open ODS to see Attribute and text data. In here, I chose only 2 attributes. Also, I have enabled the ‘Value output format’ from Properties tab to Display as both “Key and Text”. By default, “Show Result Rows” option is enabled, one need to manually disable if required. The query result is displayed as per the query properties. Below result is from transaction RSRT. Associate with Open ODS view. 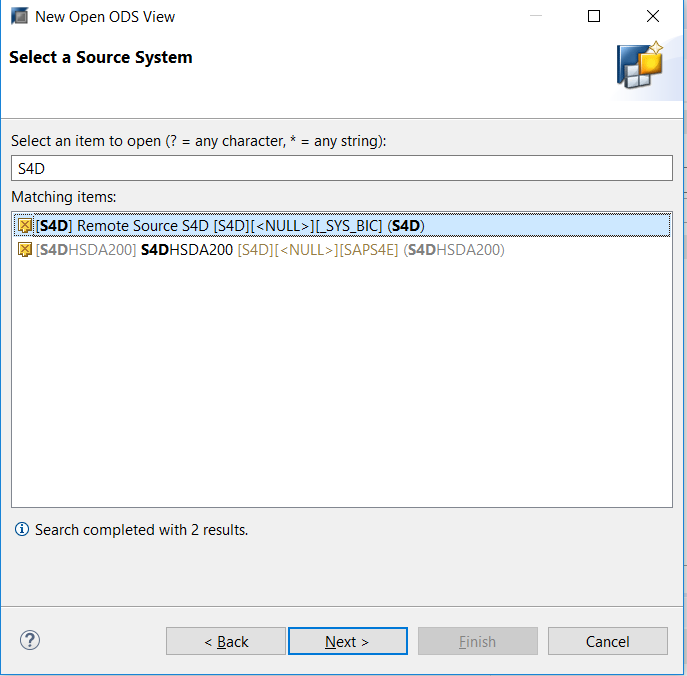 Go to any transaction Open ODS view, which requires Material Master. Choose the field and associate master data, in our scenario an Open ODS view. Don’t miss out the – Important step is of changing the default radio button option from “Usage of System-Wide Unique name” to “Direct Usage of Associated Object by Name”. 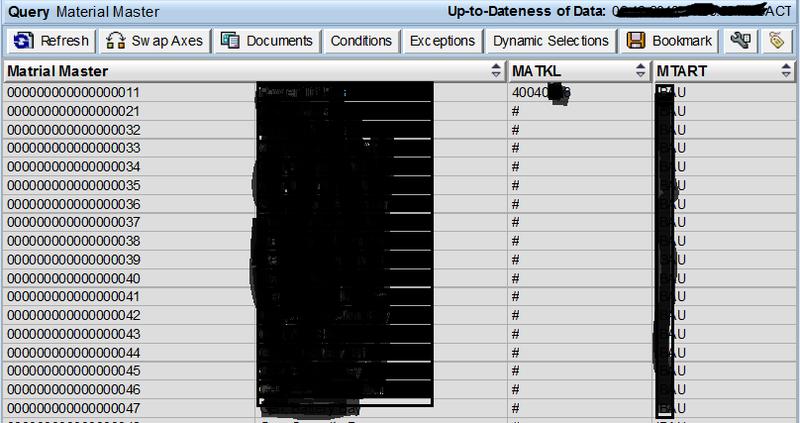 Create a query on Transactional Data Open ODS view and check for master data, attributes and Text. BW/4 HANA in combination with SDA, offers the flexibility to read Master data and transaction data remotely. BW/4HANA is an evolution of BW that is completely optimized and tailored to SAP HANA.